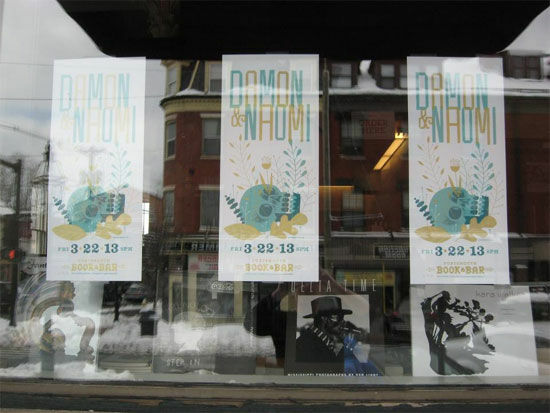 Damon & Naomi have a couple of free in-store performances this weekend (assuming the weekend starts on a Friday which Ready Steady Go! assured me it did). Today at 9pm they'll be performing at Portsmouth Book and Bar at 40 Pleasant St, Portsmouth, NH. 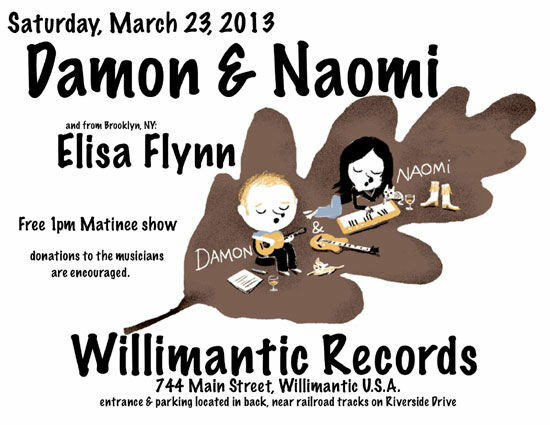 And then tomorrow they'll be playing the rescheduled show (postponed by the weather a couple of weeks back) at 1pm at Willimantic Records - 744 Main St, Willimantic, CT.